From the Super Bowl to the Grammys®, our exclusive optics and expert marketing consulting means that American Paper Optics is the only one-stop choice for the manufacturing and distribution of glasses for 3D TV and Events. 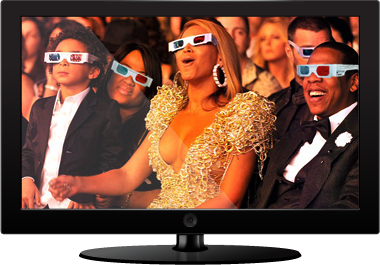 American Paper Optics represents numerous 3D TV technologies on an exclusive basis. Whether you are planning a one minute commercial, a major sporting event, or a national broadcast, we can guide you through the best solution for your next 3D TV event or 3D broadcast. In the ever changing world of 3D television, American Paper Optics offers the only solutions for bringing immediate 3D to the masses with any of our passive 3D solutions. Give us a call or send us an e-mail to find out more about bringing your next event or broadcast to life with our many 3D options and solutions.